Assertive communication is an essential skill for developing and maintaining positive self-esteem and healthy relationships. Being able to communicate assertively means clearly and calmly expressing what you want without being too passive or too aggressive. 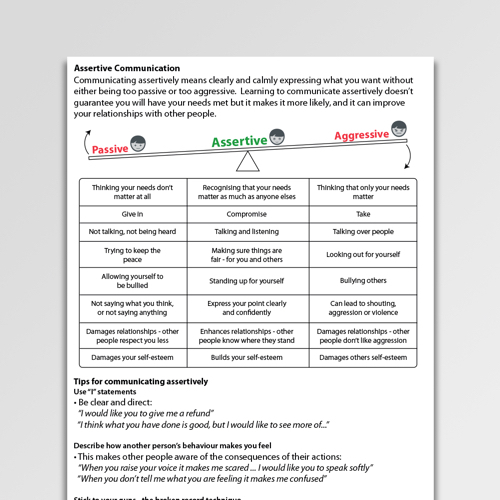 This Assertive Communication information sheet describes the qualities of assertive communication and can be a powerful tool for those with low self-esteem that is characteristic of anxiety disorders. 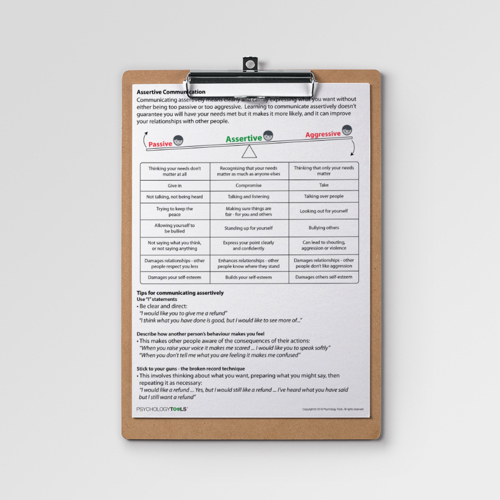 Key assertive communication strategies are discussed and compared with their passive and aggressive counterparts. Being able to communicate assertively is an essential skill for developing and maintaining healthy relationships and positive self-esteem. 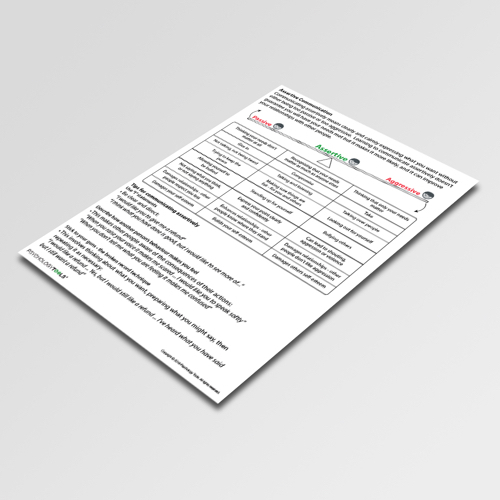 This Assertive Communication information sheet describes the qualities of assertive communication, and explores its differences from passive and aggressive communication. Some key assertive communication strategies are described. Duckworth, M. P. (2009). 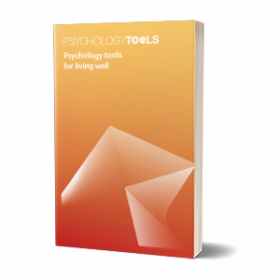 Assertiveness skills and the management of related factors in O’Donohue, W. T., Fisher, J. E., & Hayes, S. C. (Eds.). (2004). 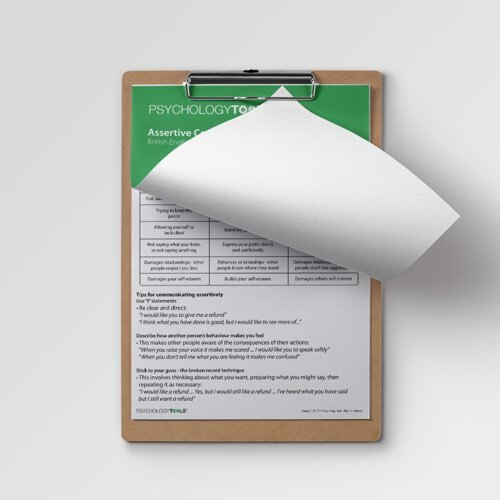 Cognitive behavior therapy: Applying empirically supported techniques in your practice. John Wiley & Sons.